Chilean cherry exporters are to launch a new consumer-focused marketing campaign in China that aims to build on last year’s record US$5m promotional drive by taking in a wider range of cities, wholesale market and retail outlets across the country. Under the slogan, ‘Enjoy your red moment’, the 2018/19 campaign will emphasise opportunities to share Chilean cherries with family and friends. An industry-wide effort that brings together Chilean growers and exporters, and the Chilean government, together with Chinese importers, distributors and retailers, the 360º campaign will feature outdoor media advertising and point-of-sale promotions across 65 cities over 39 days. In the run-up to Chinese New Year on 5 February, 2019, the campaign will focus on social media actions, promotional work on China’s most important e-commerce platform, trade media advertising, PR events, and merchandising, as well as advertising on outdoor media. The reach of the campaign will be nationwide across China, with a greater emphasis on regional cities. 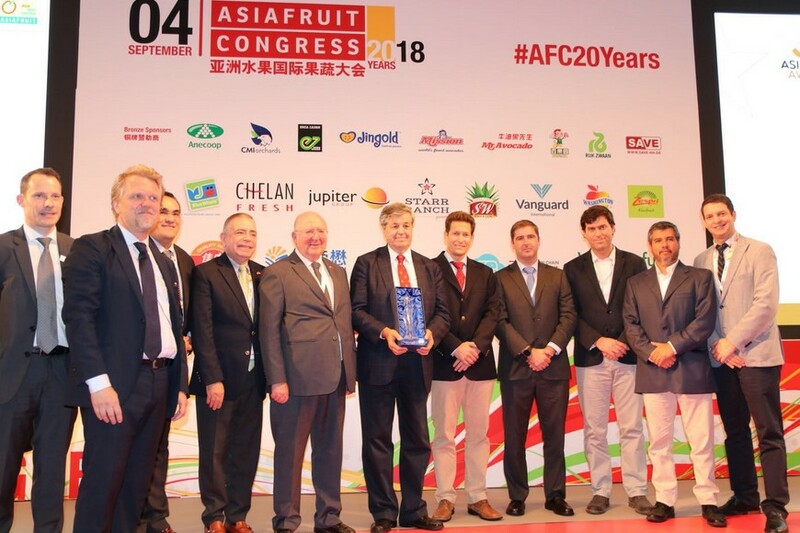 Charif Christian Carvajal, marketing director of Asoex for Asia and Europe, said the focus of the campaign would be on occasions and moments when Chinese consumers can eat, share and enjoy Chilean cherries. “We want Chinese consumers to enjoy a ‘red moment’ with delicious Chilean cherries; a moment of sharing with family because Chinese people love sharing food around a table with friends and family,” he said. Initially launched at Asia Fruit Logistica in September, the new campaign will run before, during and after Chinese New Year, although Carvajal emphasised the need to encourage consumption at other times of the year. “It’s very important to continue marketing Chilean cherries in China outside of Chinese New Year, so our objective is to promote Chilean cherries before and after to maintain the frequency and penetration of purchase,” he said. The Chilean Cherry Committee, alongside Asoex, has opened a new office in Shanghai this season with the aim of strengthening its presence in China. 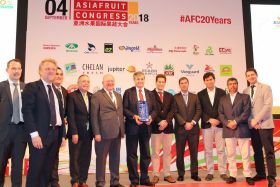 According to Asoex chairman Ronald Bown, Chairman of the Board of the Chilean Fruit “Last year’s cherry promotional campaign was very successful, in fact it was recognised as the marketing campaign of the year in the Asia Fruit Awards event celebrated in Hong Kong earlier on this year,” said Asoex chairman Ronald Bown. According to the committee’s latest estimates, Chilean cherry exports are set to reach 180,000 tonnes in 2018/19. However, this may be revised downwards in light of the recent adverse climatic conditions experienced in Chile.